A bad habit I’m going to break: spending money at Dunkin Donuts everyday and abnormal online shopping. I need to look for ways to survive without everyday coffee. A person I hope to be more like: Jesus..I've been thinking a lot about how God has given us the same power that he gave Jesus Christ and how he expects us to use it. Having compassion, laying hands on the sick, raising the dead even..
A good deed I’m going to do: Help those in need more. My husband has said this year we need to focus on giving to needy families. We will not be doing Christmas gifts like we did in 2013. A place I’d like to visit: Nigeria my home country. Even though I'm American I still claim Nigeria because I was raised there and my parents are from there. I’m going to do better at: being more relatable. I have a long list of other things I want to accomplish in 2014. These are all typed up but I'm waiting for this workbook to come in so I can transfer everything in there and be able to see them and plan better. I also wanted to try a new planner and ordered an Erin Condren planner...waiting patiently for it. It is a bit pricey but you can get $10 OFF by registering here. I do tend to splurge on planners or anything that aids my development. Well, Happy New Year and wishing you the best. Let's go for what we want this year. Right there with you with the shopping online! 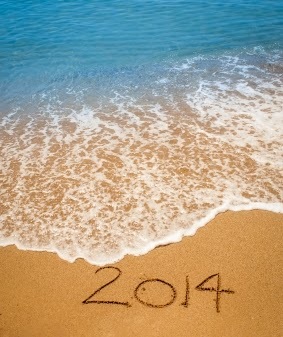 I wish you the best with accomplishing your 2014 goals!